Human anatomy. Computer artwork showing the digestive system, and the bones and blood vessels of the pelvis. At upper right is the spleen, with the stomach to its left. Above and to the left of the stomach is the liver. 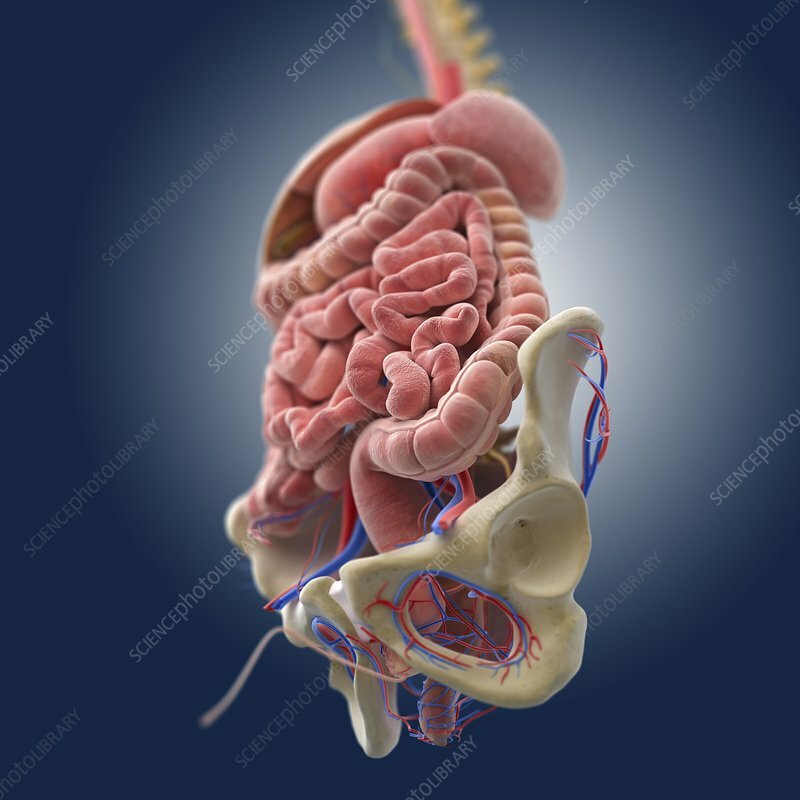 At centre are the small intestines, surrounded by the large intestine. The bones of the pelvis are at bottom, along with arteries (red) and veins (blue).